There’s more to dessert than Dunkin’ Donuts! Whether you are a cookie or cupcake gal, gluten-free or chocoholic, 727area serves up favorite dessert spots for every occasion. In addition to these shops, check out downtown St. Pete’s Downtown Saturday Market for some of the best desserts in St Pete and Clearwater to satisfy your sweet tooth. Astoria Pastry Shop: Tucked in Antique Alley, the pecan bars, biscotti, rugelach, lemon cake, and elegant pastries, cheesecakes and custom buttercream cakes pair well with a morning espresso. Beans and Barlour: From tiramisu to boozy ice cream concoctions, her famous dessert waffles and crème brulee cappuccino, count on kooky delights from the inventive Story Stuart, former owner of Story Brooke Craft Coffee Bar in the Old Southeast. Cassis Bakery: After craft cocktails at Cassis American Brasserie, go next door to the bakery for French macarons, petit fours, heavenly éclairs, cookies, apple tarts, and lemon mango cake. Frida's Cafe and Bakery: Which one first? Should it be a cream-filled donut, cannoli, brownie, raspberry biscotti cheesecake, German chocolate torte, Swedish dream cookie or coconut cake? Nibble the menu, from gluten-free to decadent chocolate suicide, then come back for more. The Hyppo St. Petersburg: Gourmet ice pops so good you’ll swoon, we love the flavor mash-ups especially pistachio mint, maraschino blueberry, raspberry lemon chia, starfruit basil, Earl Grey lavender, and sangria pineapple. Kilwin's: Discover classic white and dark chocolate favorites, including home-made ice cream, chocolate dipped caramel apples, creamy dreamy fudge, bark, caramels, and clusters plus succulent truffles filled with dark chocolate hazelnut, champagne, Irish cream, and peanut butter. Paciugo Gelato: Traditional gelato and sorbetti exquisitely flavored. Best of show are the banana cream pie, coconut, Amarena black cherry swirl, coffee mocha swirl, and Texas pecan sea salt caramel. swah-rey: Step into a decadent dessert bar, where minis or cake slices and creamy delights beckon. 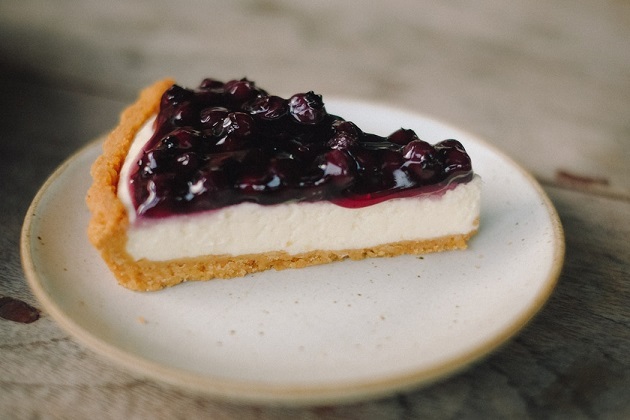 Tempt the fates with pie in a glass (dark chocolate or banana cream), cakes (red velvet), cheesecakes (cookie dough) and a cuppa Kahway coffee, wine or craft beer. URBAN Creamery: Cool off with homemade ice cream, dessert waffles, sundaes and milkshakes. You haven’t splurged till you’ve eaten a banana Nutella or peanut butter cup-topped savory waffle. William Dean Chocolates: You saw his artisan confections featured on Late Night with Jimmy Fallon and The Hunger Games, but you’ll be smitten by his chocolates (passion fruit, banana foster, pear, and ginger caramel, lavender), candied ginger, chocolate covered orange peel, pate de fruit jellies, chocolate bars and savory sweet popcorns. Connect with 727area for more great options for desserts in St Pete and Clearwater. Registration is always free and we're your local resource for all things Pinellas County. We got you covered on what's cool around town, from nightlife to family-friendly events!